Aloke Chakravarty will talk about his experiences investigating the Boston Marathon bombing, the Times Square attempted bombing, and ISIS propagandists, among others, to explore the internet’s role in domestic radicalization, the current trends of influence from external entities, conducting overseas investigations and the implications for privacy. 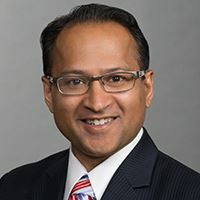 Aloke Chakravarty is the co-chair of Snell & Wilmer's Investigations, Government Enforcement and White-Collar Protection practice and he also focuses on cybersecurity, data protection and privacy. He represents companies and institutions, boards of directors and senior leadership with a broad range of services in crisis-management, internal investigations, security and breach coaching, compliance and liability, as well as preventing and minimizing the impact of government investigations and enforcement actions. For twenty years, Aloke had been a state, federal and international investigator, prosecutor and complex trial lawyer. He has held positions as an international prosecutor for a United Nations war crimes tribunal, as an attorney for the Federal Bureau of Investigation, and as an Assistant Attorney General in Massachusetts. Before joining Snell & Wilmer, Aloke was a federal prosecutor in Massachusetts, where, among other cases, he investigated and prosecuted the Boston Marathon bombing case. His work in important investigations has been recognized on numerous occasions, including being honored with the Attorney General’s Award for Exceptional Service, the Attorney General’s Award for Distinguished Service, the Director’s Award of the Federal Bureau of Investigation and Director’s Award of Homeland Security Investigations. Aloke is a graduate of the Johns Hopkins University and the Emory University School of Law, and is an elected member of the American Law Institute.